Asus ZenFone Max M2 has started receiving a new software update. The latest update bring the January 2019 Android security patch as well as artificial intelligence (AI) powered camera scene detection. The update for the ZenFone Max M2 also optimises the overall camera system. The new software update follows another for the ZenFone Max Pro M2 earlier this week, and weeks after Asus brought the December 2018 Android security patch to the ZenFone Max Pro M2 and ZenFone Max M2. The software update for the Asus ZenFone Max M2 carries FOTA (firmware over-the-air) version 15.2016.1901.156, Asus announced on Thursday. 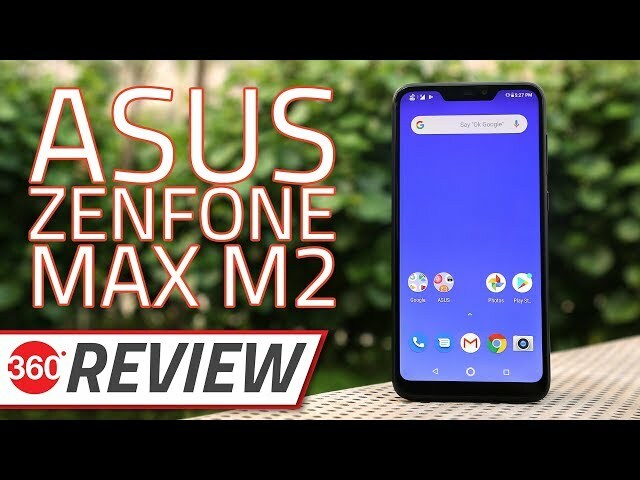 The new software update for the Asus ZenFone Max M2 brings an updated camera system along with optimisations as well as an optimised overall Android system. The update also brings AI camera scene detection to the Asus ZenFone Max M2, as well as the January 2019 Android security patch – something the update shares in common with the update Asus introduced for the ZenFone Max Pro M2 earlier this week. Asus has said that the new update would be pushed “batch by batch”. You can check their availability by visiting the Settings menu. As we mentioned, the ZenFone Max Pro M2 also received an update earlier this week, and apart from the above mentioned features, that update brings upgraded touch screen firmware and an improved front camera quality. The new software version also improves system power consumption on the ZenFone Max Pro M2. The ZenFone Max Pro M2 FOTA update brings version 15.2016.1901.186. Last month, Asus brought the December 2018 Android security patch to the ZenFone Max Pro M2 and ZenFone Max M2. The last update also included EIS (electronic image stabilisation) for the front camera of the ZenFone Max M2. To recall, the Asus ZenFone Max Pro M2 and ZenFone Max M2 were launched in India last December. The smartphones debuted with Android 8.1 Oreo, though the Taiwanese giant promised to bring their Android 9.0 Pie update in January. However, there isn’t any official word on a delay – though we are now in February. The Asus ZenFone Max M2 comes with 32GB and 64GB of internal storage options that both are expandable via microSD card (up to 2TB). Connectivity options on the smartphone include dual 4G VoLTE, Wi-Fi 802.11 b/g/n, Bluetooth v4.2, GPS/ A-GPS, FM radio, a 3.5mm headphone jack, and a Micro-USB port. Besides, the phone packs a 4,000mAh battery and measures 158.41×76.28×7.7mm.